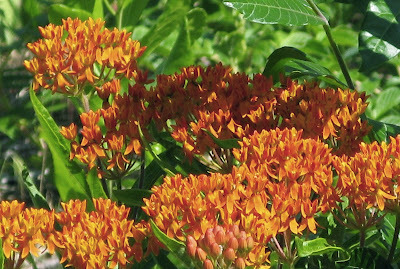 Pleurisy Root (Asclepias Tuberosa) other names: Asclépiade, Asclépiade Pleurétique, Asclépiade Tubéreuse, Asclepias tuberosa, Butterfly Weed, Canada Root, Flux Root, Orange Milkweed, Orange Swallow Wort, Pleurisy, Racine du Canada, Racine Colique, Racine de Flux, Racine de Tubercule, Swallow Wort, Tuber Root, Vencetósigo, White Root, Wind Root. Pleurisy root is a plant. The root is used as medicine. 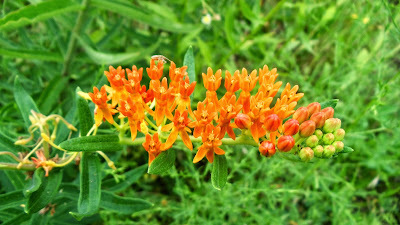 Pleurisy root (Asclepias Tuberosa) is a perennial herb having numerous stems that branch out at the top. This herb grows up to a height of three feet. The leaves of this herb have a deep green hue on the upper surface, while the color is light green underneath. The leaves grow alternately along the stem and have a shape akin to lance point. Pleurisy root bears vividly orange hued flowers between the period of June and September. These flowers appear in bunches and each flower is 3 to 5 inches in diameter and it develops into an elongated, slender pods that are about four to five inches in length. These pods open up to let loose silky bristles which help to transport the seeds by means of the wind. The herb has a huge, subterranean tuberous root that works as a storeroom during arid spells. Different from other milkweeds, pleurisy root encloses very insignificant amounts of or no milky juice. The seed pods of pleurisy root are edible and are consumed by cooking the young pods harvested prior to the formation of seed floss. The flowers of this herb are collected when they are in bloom. In fact, pleurisy root flowers are also edible and are consumed after cooking. They are said to have a taste akin to that of sweet peas. The leaves as well as the new buds of pleurisy root are also edible and are cooked in the same manner as spinach. The roots of pleurisy root are harvested in fall, dried out in the sun or shade and stored for future use. Pleurisy root has a preference of open, arid fields and may grow abundantly, especially in the southern regions of the United Stated. Similar to all other species of milkweeds, even the pleurisy root produces pods that split open on their own during autumn to expose several rows of silky seeds that glide along with the wind. Pleurisy root is indigenous to the southern regions of the United States. The rhizome of this herb is dug out during spring (between March and April). It is possible to grow pleurisy root without any difficulty in standard, arid to medium, well-drained soils in complete sunlight. As this species has the aptitude to endure drought, they thrive well even in poor, arid soils. The growth of new plants usually takes place during the later part of spring. Pleurisy root can be propagated easily with its seeds, however, the growth of the plants is rather sluggish and they may take as long as two to three years to get established and bear flowers. The established pleurisy root plants are able to self-seed freely in the land provided the seed pods are not taken away before they split open on their own. Owing to its long and deep taproot, butterfly weed (pleurisy root) does not transplant properly and is perhaps best to leave them without disturbance when they are already established. Pleurisy root is an indigenous wildflower of North America that forms the main food source for juvenile as well as adult Monarch Butterfly and is frequently grown in butterfly gardens. The plants of this species form a straight cluster of slender green leaves and produce attractive bunches of flowers having an orange or golden hue between the period of mid to late summer. When mature, the flowers develop into seed pods, which are employed in dried collections and they ought to be collected and dried when they remain green. Seeds of pleurisy root plant germinate very slowly and come up quite late in the spring. While several parts of the pleurisy root herb are edible and consumed by people after cooking, the herb has several therapeutic uses too. The primary medicinal use of this herb is to provide relief from pain as well as inflammation caused by pleurisy - hence, the apt name of the herb. In addition, pleurisy root is also an effective natural medication for treating hot, dry and congested chest conditions. The herb also functions as an expectorant and facilitates in drawing out phlegm, lessens inflammation and, at the same time, lowers fevers by promoting perspiration. The root/ rhizome of the herb is taken internally to cure dysentery and persistent diarrhea. As mentioned before, pleurisy root, also known as butterfly weed, is edible as well as therapeutic. 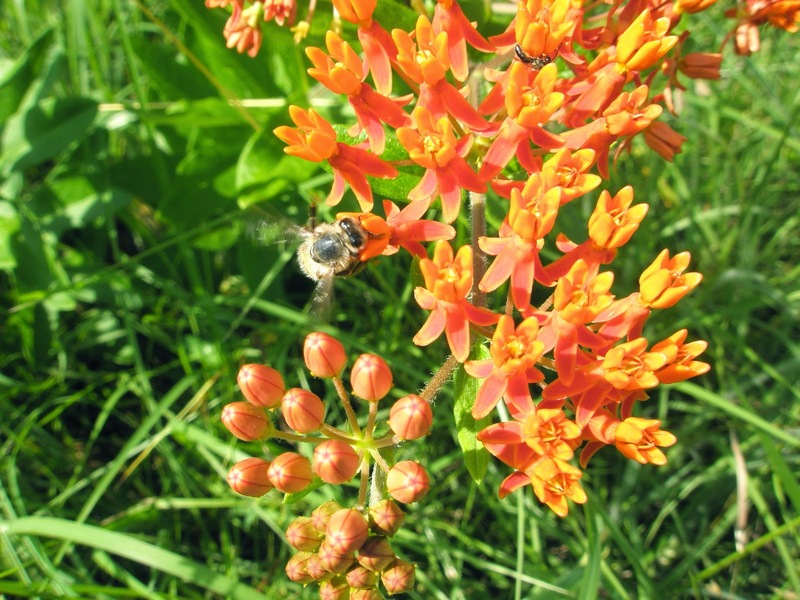 The species asclepias tuberosa has been used in the form of a valuable alternative medication since ages and is among the vital indigenous species found in North America. The aerial parts of the herb are used primarily as a food and also for clothing. On the other hand, the tubular rhizome of pleurisy root is therapeutic and possesses carminative (any medication that helps to expel gas from the stomach/ intestines), antispasmodic, diuretic, cathartic, diaphoretic, vasodilator (any medication that dilates the blood vessels), tonic and expectorant attributes. Using formulations prepared with pleurisy root have particular favourable effects on the lungs and, hence, this makes the herb a valuable natural medicine for treating all chest ailments as well as to treat several lung diseases. A tepid infusion prepared with the pleurisy root has a gently stimulating action on the system. However, caution should be exercised while taking this infusion, since taking large doses of pleurisy root may prove to be emetic (induce vomiting) and purgative. The root of the herb is also used to make a therapeutic poultice that is applied to swellings, wounds, bruises and even skin ulcers. The bark of pleurisy root is also used to obtain fiber of superior value and is woven into thread or cloth. The seed floss of the herb is employed to stuff pillows and candle wicks, life jackets and fibers to make clothing. Several studies have hinted that the floss is also effective for cleaning oil spills at sea. The Natives of North America used the extracts of pleurisy root in the form of an expectorant to cure wet coughs as well as other diseases related to the pulmonary system. However, this herb should never be given to women during pregnancy, lactating mothers as well as infants, since pleurisy root encloses substantial amount of cardiac glycosides. Despite serious safety concerns, pleurisy root is used for coughs, swelling of the lining of the lungs (pleurisy), swelling of the air sacs in the lungs (pneumonitis), swelling of the airways (bronchitis), influenza, and swine flu. Pleurisy root is also used to treat disorders of the uterus, muscle spasms, and pain; to loosen mucus so it can be coughed up; and to promote sweating. While there are inadequate data to endorse the use of pleurisy root for treating any medical conditions in humans, reports of side effects caused by the usage of this herb are also very few. Nevertheless, it is advisable to exercise caution while using pleurisy root by patients having known heart conditions or those who are taking cardiac glycosides, since a number of textbooks on natural medicine state that this herb encloses high amounts of cardiac glycosides. As there is no scientific evidence regarding the after effects of using pleurisy root on the fetus or infants, it is advisable that this herb should not be given to women during pregnancy or nursing mothers. While this herb is yet to be studied properly on humans, it is possible that pleurisy root may change the concentrations of amine in the brain as well as act together with anti-depressants. Therefore, one should exercise caution while taking pleurisy root in conjugation with other herbs that have latent anti-depressant effects. It has been found that the tubular rhizome of pleurisy root encloses glycosides of lineolon, ikemagenin, ascandroside, pleurogenin, cardenolide, coroglaucigeenin, uzarigenin as well as corotoxigenin. A number of textbooks on natural medicine state that pleurisy root encloses significant quantities of cardiac glycosides and, hence, large doses of this herb ought to be avoided. In addition, pleurisy root should be used with caution in patients enduring known heart (cardiovascular) conditions or those who are already taking other herbs having cardiac glycoside impacts, for instance hawthorn. Pleurisy root is possibly unsafe because it contains a powerful chemical that is similar to the prescription drug digoxin (Lanoxin). Pleurisy root might cause serious heart problems. Pleurisy root also can cause side effects such as nausea and vomiting, and skin rash. Pregnancy and breast-feeding: it is unsafe to use pleurisy root if you are pregnant. Pleurisy root can stimulate the uterus and it can also act like the hormone estrogen. These effects can endanger the pregnancy. It is possibly unsafe to use pleurisy root if you are breast-feeding. Avoid use. Heart problems: Pleurisy root might interfere with medicines used to treat heart problems. Don’t use pleurisy root if you have a heart condition. As mentioned earlier, pleurisy root has not been studied much in humans and it is believed to enclose compounds similar to estrogen. Therefore, caution needs to be exercised while taking pleurisy root in conjugation with other herbs or supplements containing hormones.